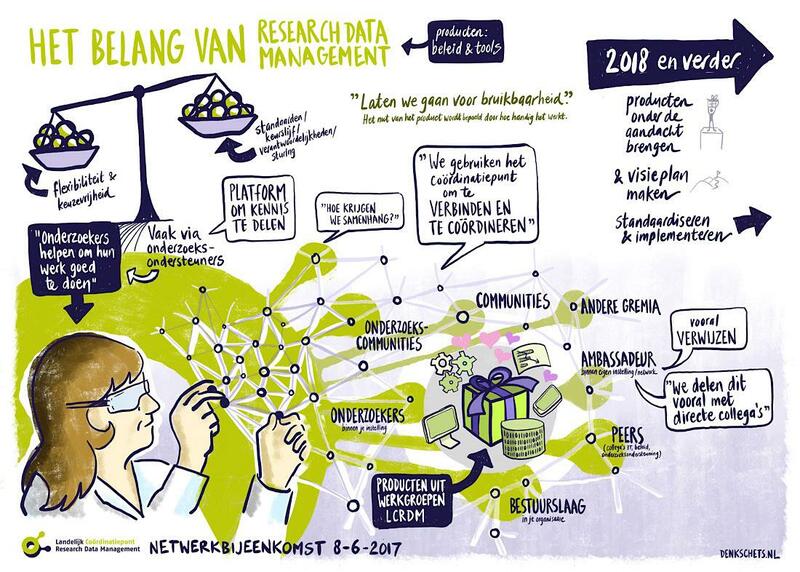 The National Coordination Point for Research Data Management (LCRDM) exists three years and will celebrate the results of this cooperation with a conference on Thursday 8 February 2018 in Utrecht. The full-day programme offers a range of events: interactive sessions, inspiring presentations, an information market and a panel discussion. There will also be an interactive presentation of the current LCRDM products. In addition, we will brainstorm on future RDM activities: what do we really want to see established in the coming years? What are the topics to work on at the national level, to enhance implementation of RDM, and to support open science in the Netherlands? Everyone who is professionally involved in Research Data Management at governance, policy or supporting level. Also for researchers who want to find out more about RDM, visitors of previous LCRDM meetings, and others who are curious about the national cooperation on RDM. You are most welcome to celebrate this day with us. For more information and registration, visit the conference page . There is no conference fee. The conference is in Dutch, but when necessary we will switch to English, just as easy.